Have you have seen pink ribbons loops worn by groups of people and wondered what they are? Pink ribbons represent breast cancer. 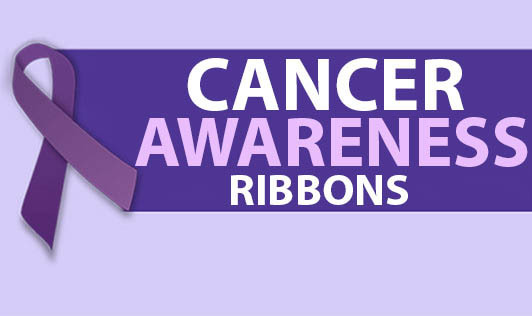 Cancer awareness ribbons are folded into a loop and worn on the shirt or lapel to show support to cancer patients. They may be worn specifically on days when cancer awareness programs are held or at gatherings that support a good cause. Specific colors represent different forms of cancer. Pink ribbon representing breast cancer is most widely recognised. Similarly, a gold ribbon represents all childhood cancers, orange represents leukemia, pearl color stands for lung, black for melanoma (a type of skin cancer), and so on. Contact the nearest cancer center if you wish to show your support for cancer patients.